Take your blog to the Next Level with Gonzo WordPress blog theme, this theme is perfect for any kind of blog no matter what size it is. Whether you want to give your dusty old blog a new coat of paint or you are drowning in a sea of posts and categories, Gonzo is here to rescue you. We all want a fast and responsive theme for our blog, that is the reason you need this amazing WordPress blog theme Gonzo is built with semantic CSS3/HTML and is completely responsive/retina-ready. Not only is it responsive but it also keeps that magazine feel right down to mobile screen sizes. Practically every typographic element has been endlessly tweaked for different screen sizes to make sure it looks great no matter what the device. The reason why you will like this theme is because of its response speed. This theme is SEO friendly, easy to use support for both stars and percentage ratings. You also have the option of placing the review at the top or bottom of the post. 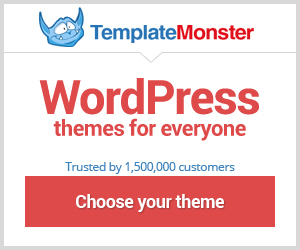 All you need to do, is to get the theme from Themeforest and you are ready to blog. Whether you want to give your dusty old blog a new coat of paint or you are drowning in a sea of posts and categories, Gonzo is here to rescue you.